Parents of a Florida A&M University drum major who was beaten to death last fall are suing the bus company that owned the bus where the alleged hazing took place. 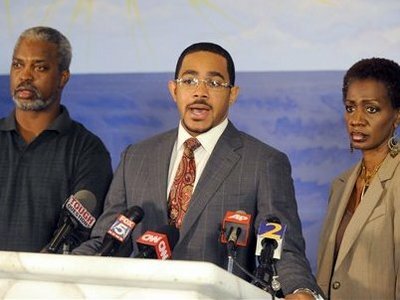 Negligence led to Robert Champion's death, the family's attorney said this week, because the students were left unsupervised in the bus in a hotel parking lot. Now, the band director Julian White claims there is no way the university is liable for Champion's death if it is indeed true Champion was targeted because of his sexual orientation. Several students have come forward saying the 26-year-old Georgia native was gay. Champion, one of the band's senior members, died Nov. 19, 2011, in what authorities called a hazing-related homicide. His death at first prompted the school's firing of president James Ammons, only reinstating him later and putting him on administrative leave. Then, four FAMU students were suspended and later reinstated pending an investigation, and it has prompted university leaders to review hazing policies. Champion's family has done some investigating and their attorney said at least 10 other students said they've been hazed, too. Champion may have been beaten harder than the others that could include his sexual orientation and vocal criticism of the band's hazing practices. And the president of the bus company, Fabulous Coach Line, said it's not up to the bus drivers to monitor students' behavior. 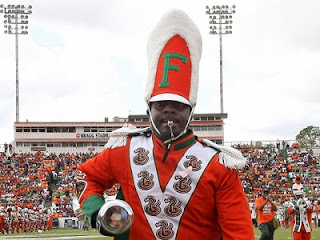 We can only hope this situation brings solutions to hazing problems, which are really left up to the Marching 100, if they want to make a change.